LAILI or LAILA, a famous horse of superb beauty and grace, was originally owned by Yar Muhammad Khan Barakzai, governor of Peshawar. It was much coveted by Maharaja Ranjit Singh, whose love for horses was proverbial. With the romantic name given it, Laili was known throughout Central Asia for its breed and deportment darkgrey in colour, 13 years of age in 1835, and reportedly 16 haths in height equivalent to 16 widths of hand. Ranjit Singh informed Baron Charles Hugel, a contemporary traveller who visited his court, that he had never seen such a horse before so perfect was it in every respect; further, that it cost him the price of a kingdom (Rs 60,00,000) and 12,000 soldiers to obtain it.Â The story of this legendary horse has found its way into the accounts of most of the contemporary European travellers visiting the Punjab. Maharaja Ranjit Singh who had set his heart on Laili sent in 1823 a message to the Barakzai chief through Faqir `Aziz udDIn demanding surrender of the animal. Yar Muhammad Khan denied the existence of the horse and the Sikh emissary returned to Lahore empty handed. In 1826, a Sikh army commanded by Buddh Singh Sandharivalia marched to Peshawar to seize the horse as well as to quell the disturbance raised by Sayyid Ahmad Bareilvi in the valley. To Buddh Singh Yar Muhammad`s reply was that the horse had died. In 1829, another force was sent by the Maharaja under Prince Kharak Singh and General Ventura with instructions to secure Laili and depose Yar Muhammad Khan in case he refused to part with the animal. Yar Muhammad fled into the Yusufzai hills on the approach of the Sikh army. His brother, Sultan Muhammad Khan, who was installed in his place, was put under arrest by General Ventura, who eventually secured possession of Laili.The Maharaja was highly gratified to possess the famous horse. 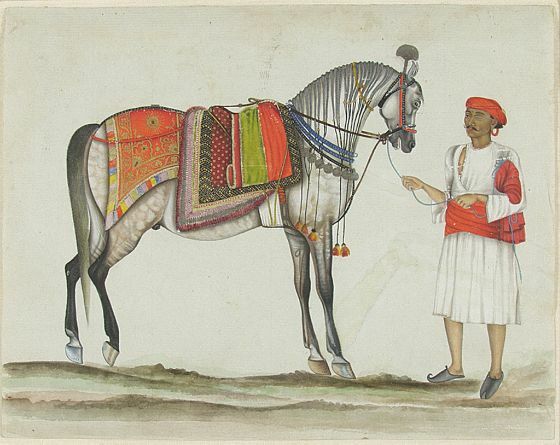 He showed this horse to Lord William Bentinck at Ropar in 1831. 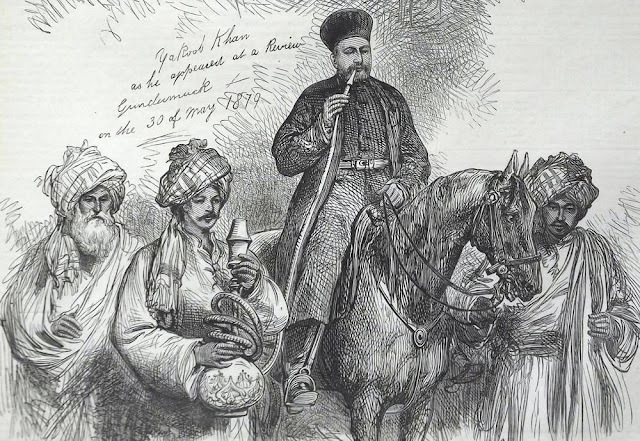 The great German traveller, Baron Charles Hugel, who saw the horse in die royal stables at Lahore in 1835, records: "It is the finest horse belonging to the MahaRaja.... and round his knees he has gold bangles: he is a dark grey, with black legs, thirteen years old, and full sixteen hands high." Some writers, including Lepel Griffin, are of the view that this horse was not the real Laili. They hold that Laili means a mare and not a stallion. Further Laili implies black colour and qualities of femininity. But Ventura and Ranjit Singh were sure that it was the real Laili. Ranjit Singh`s court historian, Sohan Lal, holds that the horse was surrendered by Yar Muhammad Khan in October 1827, while others are of the view that it was Sultan Muhammad Khan who gave the horse to General Ventura.